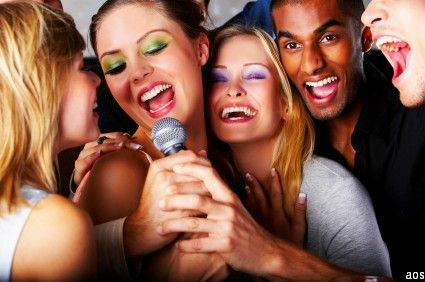 Everyone’s seen it when they go out – that group of people sitting together, making the most noise in the bar and seeming to have the most fun. The women are beautiful, the men are charismatic and you begin to wonder to yourself, how can I be in that party? The reason people find groups like the one I just mentioned so attractive is because of the vibe it gives off. A group that people want to be a part of is one that has no ulterior motives other than just having fun in the moment. Anything can happen and people will just take it in stride because it’s simply another part of the adventure of their night. Creating the vibe is easy – just go out with no expectations and have fun! If your friends are getting down because they’re not getting any women, tell them just to enjoy the music, the jokes, the company and everything else that happens in the night. Before you know it, you won’t have a care for anything other than the fun that you’re having, and those outside your group will see it and want to join your party. One should never underestimate the power your friends have to sway the opinions of others. A good wingman is a friend who will make you look better in front of women, who will help keep the friends of the girl you want occupied (see how to deal with the best friend) so you can build a connection with her. You should in turn reciprocate – one thing that women find very attractive is a man who considers his friends to be his equals or betters. Rather than doing what most people do, which is to put down their friends in front of women in an attempt to look better, laud your friends achievements. Raise him up and make him appear to be one of the coolest people in the venue. After all, it says something about you if you hang out with people as cool as this! Don’t feel the need to chase every beautiful girl you meet. In fact, by becoming friends with them, you have just acquired a friend who can help you in many different ways. Tell them that they’re going to help you pick up single women and they will often make you look like a rock star in a club. Women always want what other women have and having a beautiful woman completely into you is an enormous form of social proof to anyone watching you. A good wing-woman can also help start up conversations with other women and make them feel comfortable before introducing you into the conversation. Don’t be afraid of letting your female friends know about your desires and don’t judge them for theirs and you will have a wonderfully efficient new way of meeting and attracting women. Your social circle is also a great way to meet many new people. Unless you have a very small, elite circle that does everything together, every one of your friends will know at least one or two people that you have never met before. Encourage your friends to bring these new people to activities you organize or simply to hang out. Even if these friends aren’t women you want to chase, you can use them in the same way to meet more people once you befriend them. With a little bit of time, you can end up as the social hub that brings people from opposite ends of your social circle together to have a fun time with them all. Women are attracted to men who lead men. Their natural instinct is to chase the male whose genes are most suited to survival and the leader of the pack is almost always the dominant alpha male. Most people instinctively look to be led and this can often be seen in the form of questions such as “What do you want to do? Where would you like to go?” Instead of asking questions, start making statements as to what you want to do and guide your friends to the various parties and events that you want to go to. Eventually, people will just begin to turn to you for your ideas and women will see this, becoming insanely attracted when they see just how much the other men and women in your group look up to you. There is a saying that women are fleeting while friends are for life. Your friends can help you in your pursuit of women like no one else can – never be ashamed of your desires and don’t be afraid to let your friends know how they can help you, or how you can help them. When you enjoy the company of your friends, regardless of the location, people everywhere will watch and admire the bond you share with them, and before you know it, they’ll want to be a part of that bond.